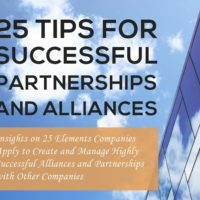 Business partnerships and alliances are an increasing important strategic way to help organizations grow. In 1998 Yves Doz and Gary Hamel already wrote “No Company can go it alone” as the opening statement of their book “Alliance Advantage”. Today this is more applicable than ever. The challenge is to do alliances in a successful way. They bring a different dynamic than organic growth, with less control and more need for trust. 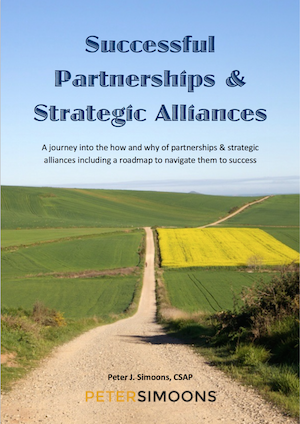 This book takes you on an introduction journey into the topic of strategic alliances. 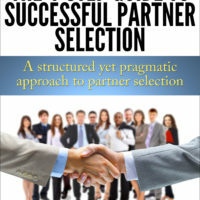 It explains why a structured approach enhances the chances for success and it gives an introduction on how best to approach these partnerships and alliances.